ERFC’s revamped goalkeeping program is set to kick off this week and we’d love for you to be involved! This year, our program features former MVFC keeper Cassie Dimovski and the highly experienced and talented Will Meadows. 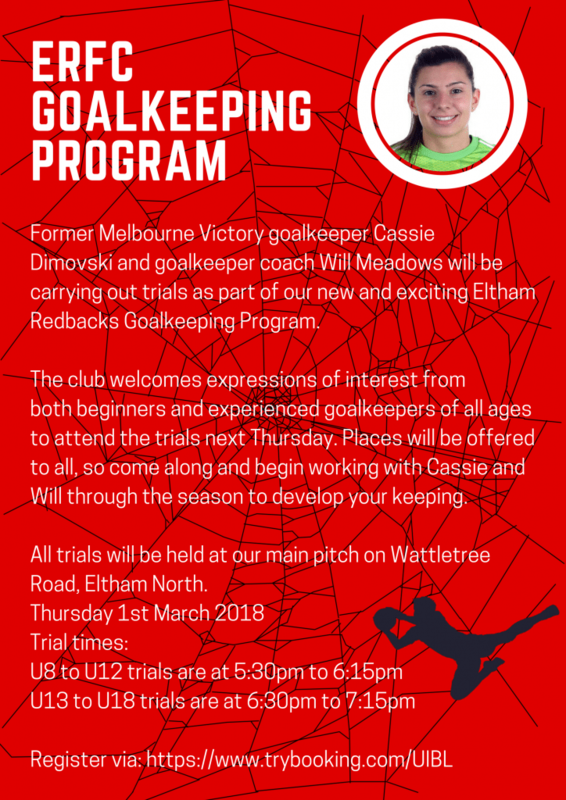 Keepers of all age groups and all ability levels are catered for in our Goalkeeping Program and no one will be turned away. To trial, head to www.trybooking.com/UIBL, check the times for the appropriate program and complete your details. The program commences this from Thursday the 1st of March.